Jewels themes has been purchased 21, rating: 4/5 based on 4 reviews. Jewels is a clean and beautiful theme for Shopify stores that will make a difference for your online store to your competitors. 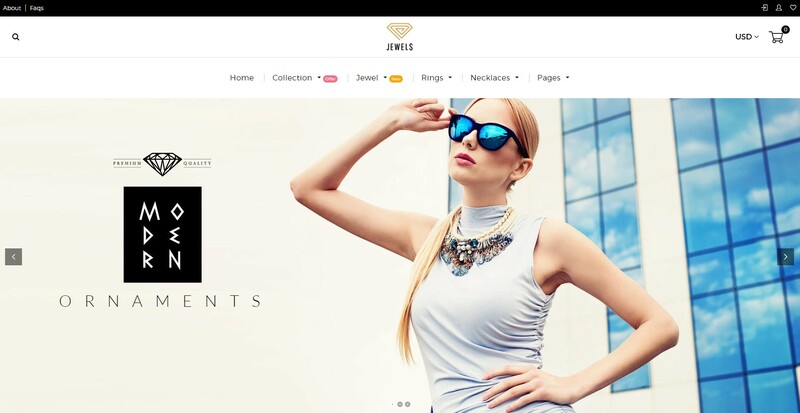 Jewels Shopify theme can fit into many different types of outlets such as fashion, jewelry, clothing, mobile, and any other type of e-store. Jewels gives you great features and technologies like SASS, CSS, Owl carousel, animations, etc. In addition, Jewels includes powerful modules such as feedback slider, Blog, Ajax Search, Newsletter popup, Mega Menu, etc. This is definitely the theme that you are looking for for your online store. Jewels believes that it will bring satisfaction to its customers.